Mauritius based entities that Invest in India – from Private Equity investors, VC funds, and investment pass-through vehicles (which issue participatory notes) will start to see taxation apply to them from April 1, 2017. This is due to a treaty change between India and Mauritius. Here’s the full text of the treaty change. Currently, if you are a foreign investor, you can invest in Indian companies – both listed and unlisted. When you sell them, you would pay capital gains taxes in India (as many NRIs do) and some of those gains are withheld before you get the money. But till now, there were Double Taxation Avoidance Agreements (DTAAs) which are treaties between India and certain countries, that allowed a certain type of gain – Capital Gain on the sale of shares or property – to be untaxed in India. This applied to entities coming from Mauritius, Cyprus and Singapore. So if you brought the money in “through” a Singapore, Mauritius and Cyprus entity, then the sale of shares would not be taxed at all, since none of these countries charged any capital gains taxes. Leave Cyprus out of it for now. The government there tried to remove money from bank accounts and will suffer from investor fear for a while. All you had to do to get zero tax on your investments – both listed and unlisted – was simply to set up a shell entity in Mauritius. 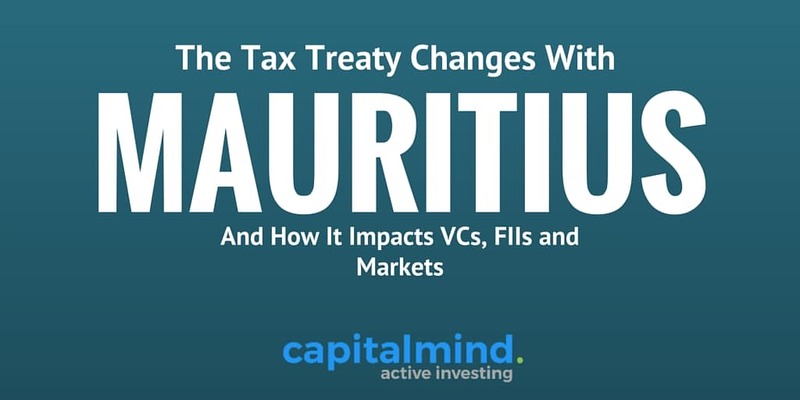 The tax treaty didn’t differentiate between a company that was actually operating in Mauritius versus a company that was only set up there to get tax benefits. So for a few thousand dollars, you could get a Mauritius entity and invest through it into Indian stocks and shares, and never pay capital gains taxes anywhere. Why not Singapore? Singapore had both “objective” and “subjective” restrictions on who got this treaty benefit – for one, the Singapore entity needs to spend Sing$ 200,000 a year in Singapore – an amount that would easily deter the tax shopper from creating such entities only for tax benefits. Subjective rules also exist which can disallow a company if the tax authority feels this entity was created only to get tax benefits.